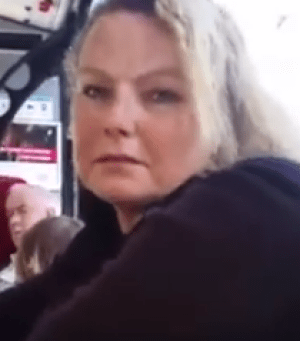 FOOTAGE has emerged of a woman going on an Islamophobic rant about Muslims on a bus before she is captured slapping the driver after he tells her to get off. The incident took place on bus route 185 which was heading to Mona Vale from Wynyard on Saturday around 3pm. 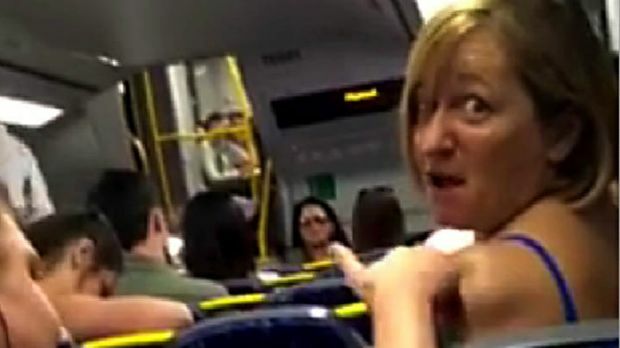 Footage of the woman’s rant on a bus to Mona Vale from York Street, Wynard was captured on video. Source: Islamophobia Register. Witnesses say the woman was shouting on the bus making remarks such as “We can’t let them come in … they are going to bomb us all … F**k them, they are going to kill us”. She is filmed saying “Everyone who is Muslim has a chance to be radicalised” before a passenger tells her they themselves are Muslim. The video then shows the bus driver stepping in and saying: “Could you please get off my bus, or I will get the police now”. The woman, who was asked to leave the bus, can then be seen slapping the driver. The woman asks what she is doing wrong before beginning to walk off the bus. She can then be seen slapping the bus driver across the face. Officers from the Police Transport Command have confirmed they are investigating and have called for witnesses to the incident to come forward and assist. 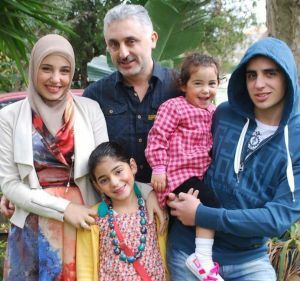 Islamophobia Register Australia spokeswoman Mariam Veiszadeh said that they had been receiving an increase in reports about Islamophobic incidents — and they were also becoming more serious and severe. 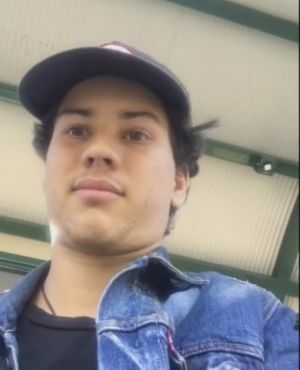 A Brisbane man who captured video of an “unfortunate conversation” at a suburban bus stop wanted to remain calm when confronted by a woman who he described as a “little bit racist”. 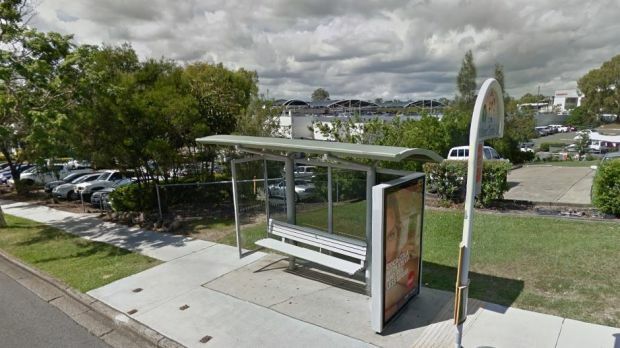 Jerome Forbes, 19, said he walked up to the Mount Gravatt Plaza bus stop, in Brisbane’s south-east, where the older lady was sitting when he tried to strike up conversation on Monday. 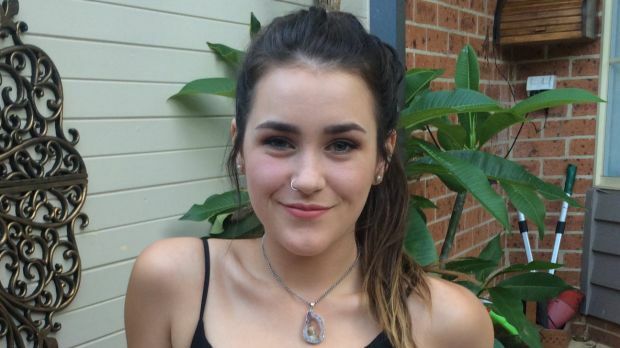 A teenager is accused of being a foreigner and told his father should ‘pack up and go back to New Zealand’ by a woman at a Brisbane bus stop. “We were waiting for the same bus so I tried to create conversation with her to see how her day was or see what she was up to,” Mr Forbes said. That was when the situation started to go downhill, according to Mr Forbes, who recorded the exchange. “She started saying racist comments and then that’s when I pulled out my phone and started recording her,” he said. The video was posted on YouTube on Tuesday. It had been viewed more than one million times and attracted more than 5000 comments by 6pm on Wednesday. The camera is focused on the teen during the entire exchange, with viewers only hearing the unidentified woman’s voice in 1.54 minute clip. The woman questions where his father was born and he responds “New Zealand”. “Well, it probably would be advisable for him to pack up and go back to New Zealand,” she said. Mr Forbes said he was “just started trying to have a normal conversation with her, trying to understand where she was coming from, like trying to understand what she had against me or foreigners in general, what her problem was”. “It just went from there and the video explains the rest,” he said. After the video stops, Mr Forbes said the bus arrived and the two went their separate ways. “I think she was just ignorant, I don’t think she was trying to attack me personally or have a personal go at me, trying to bring me down,,’ he said. Mr Forbes said his prior experience with situations that would have made others lash out helped him remain calm during the conversation. “I’ve talked to enough people and had enough experience to know this lady wasn’t trying to bring me down as a person, she was just having a go at what she believed and what she stood up for,” he said. “If that situation comes across just try and understand where they’re coming from and I guess don’t hype them up, don’t try and get them abusing you,” he said. In a separate incident, Brisbane City Council is investigating a complaint that a bus driver made a racist remark toward a passenger. 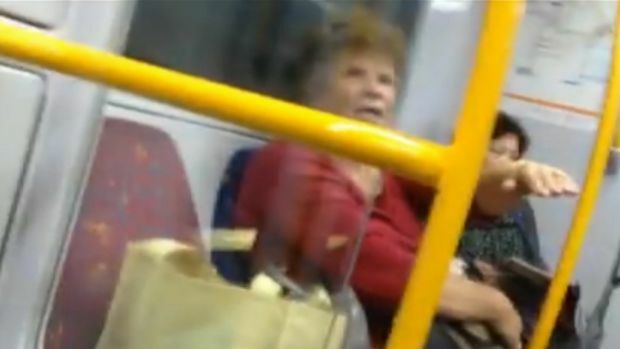 A woman who was filmed allegedly verbally abusing a Muslim couple on a Sydney train last month has been issued with a rail infringement notice by police. The 70-year-old Lisarow woman was issued the infringement notice for behaving “in an offensive manner” on a public train, Police Transport Command said in a statement released Thursday night. Offensive behaviour carries a maximum fine of $1100. 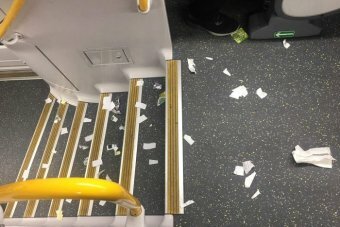 A video that captures the moments a Muslim woman was the subject of a racist verbal attack on a Sydney train has been viewed nearly 80,000 times. The video was recorded on a phone by Stacey Eden, 23, who can be heard telling the older woman to stop disrespecting the Muslim woman who was with her husband and wearing a headscarf at the time. Ms Eden, a pathology worker, told the ABC she was catching a train home to Mascot on the Airport Line at around 1:40pm on Wednesday afternoon. She said she noticed a group of people enter the train, particularly a man and woman wearing a scarf with a baby. At that point she said an old lady walked over and started speaking to them. “I was just listening to my music,” Ms Eden said. “The old lady actually bent over and touched the lady’s scarf while she was talking. Ms Eden said she noticed the old woman was verbally abusing the couple, who said nothing. 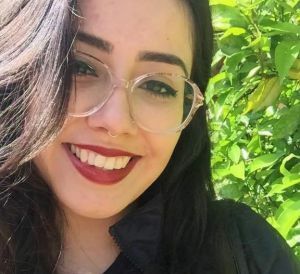 “The lady next to me was saying things like ‘all the people that were dying were because of the Muslims in the world and look what’s happening overseas’,” she said. In the video, Ms Eden can be heard telling the old woman to leave the other woman’s dress alone. “She wears it for herself, OK,” she said in the video. The older woman can be heard mentioning beheadings, the Sydney siege and suggesting the woman was an “ISIS supporter”. Ms Eden said she got angry and started recording the incident. “She was picking on her for the way she was dressed and that’s what really got to me,” she said. “This lady that was sitting across from me wearing a scarf, she was minding her own business, she never said anything out of line, she never even spoke. Ms Eden said she missed her Mascot stop to make sure the couple felt safe and once she saw them get off at the International Airport stop, she got off at Wolli Creek. “I was actually worried about what was going to happen,” she said. “I stayed on the train for a few more stops just to make sure everything was going to be OK. The victim’s husband, Hafeez Ahmed Bhatti, posted a thank you message on Facebook which said: “This video was not made by me. 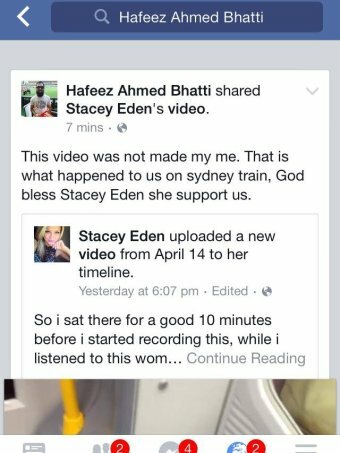 That is what happened to us on a Sydney train, God bless Stacey Eden she supported us”. Ms Eden said she felt compelled to stand up because no one else was doing anything. “I just felt like if no one said anything, it was just going to keep going, so I had to say it,” she said. “People like that are just very ignorant. They’re never going to listen to what you say. 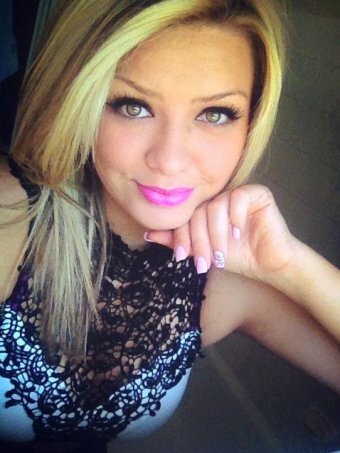 A New South Wales police spokesman told the ABC they would review the video footage. 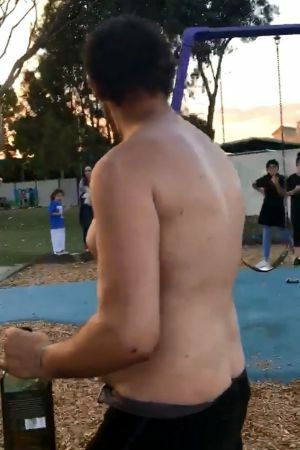 “NSW Police is aware of an incident which occurred on at train travelling on the Airport, Inner West and South line involving alleged racial vilification yesterday,” a spokesman said. Police said they had not received a report of the alleged assault and were encouraging the victims to come forward. “We encourage anyone who is the victim of a biased motivated crime to report the matter to local police or Crime Stoppers on 1800 333 000,” they said. 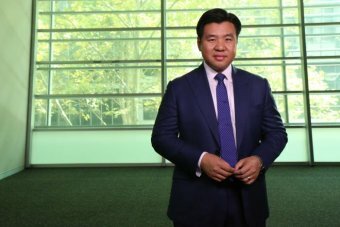 Race Discrimination Commissioner Dr Tim Soutphommasane from the Australian Human Rights Commission said the video was “inexcusable”. “It’s always disappointing to see people being subjected to harassment or abuse in public places,” he said. Dr Soutphommasane said it was encouraging to see Ms Eden stand up to the discrimination. “It’s always encouraging to see people respond to racism or bigotry,” he said. “If it’s safe to do so, people should feel free to speak out against abuse or harassment.